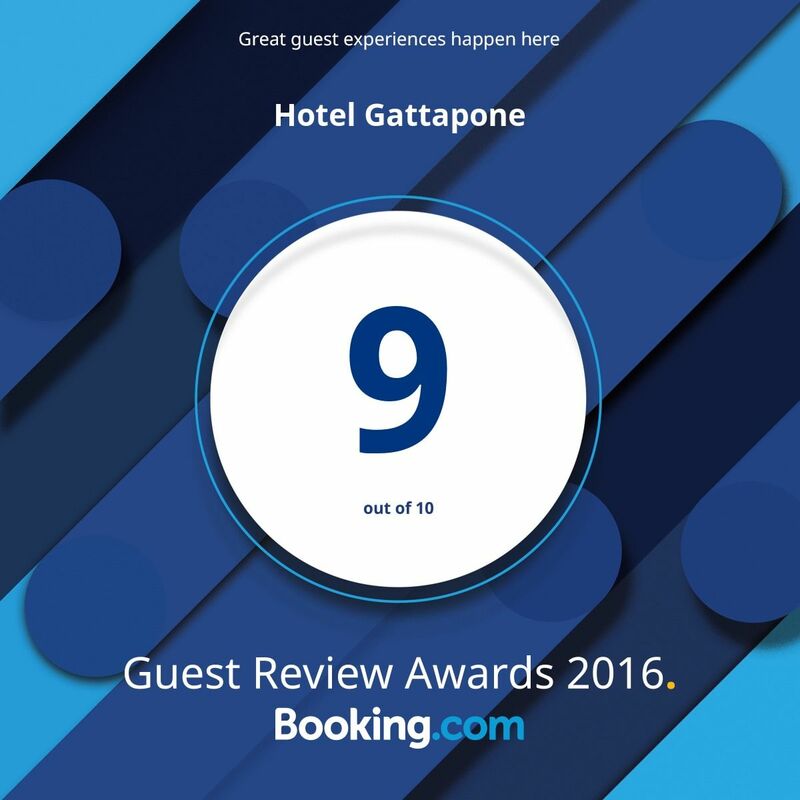 Hotel Gattapone is pleased to welcome guests in his elegant, comfortable and well-equipped rooms, ideal for your stays in Gubbio. 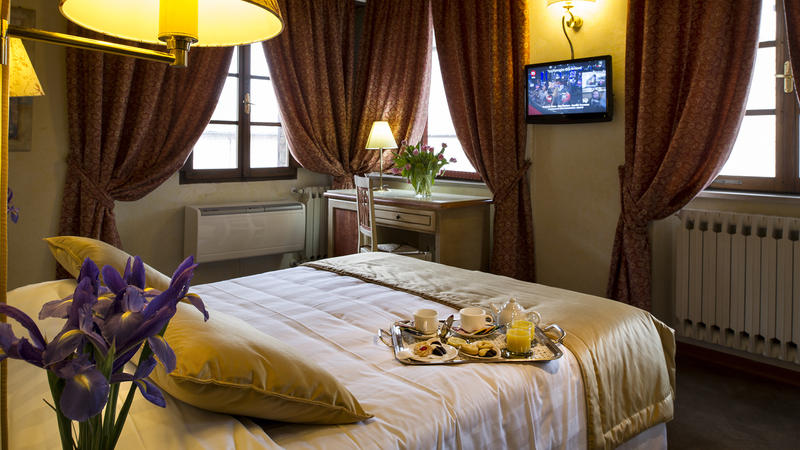 The Comfort rooms are hospitable, furnished with functional furniture and parquet or terracotta floors. 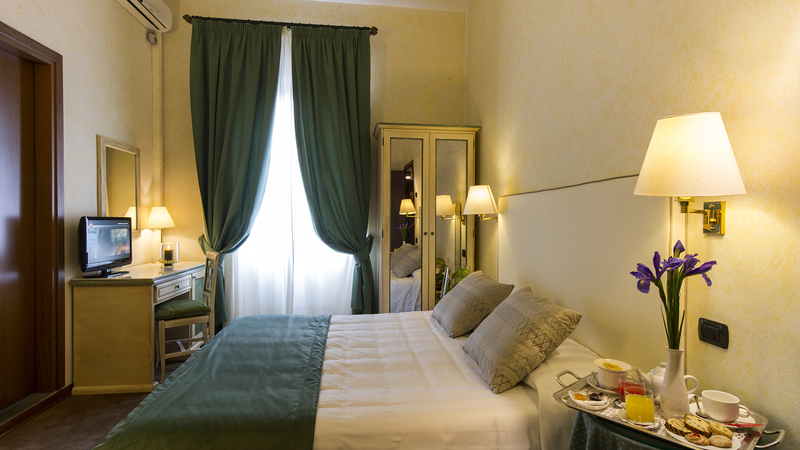 Located on all three floors of the hotel, characterized by blue and green or pink pastel tones. Some enjoy stunning views of the historic center of Gubbio. This type can be booked as double, triple, quadruple or single. 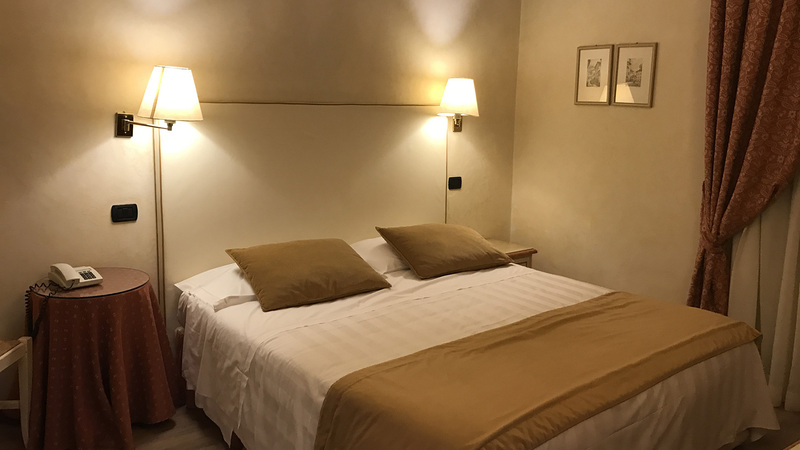 The double room has a double bed or twin beds. 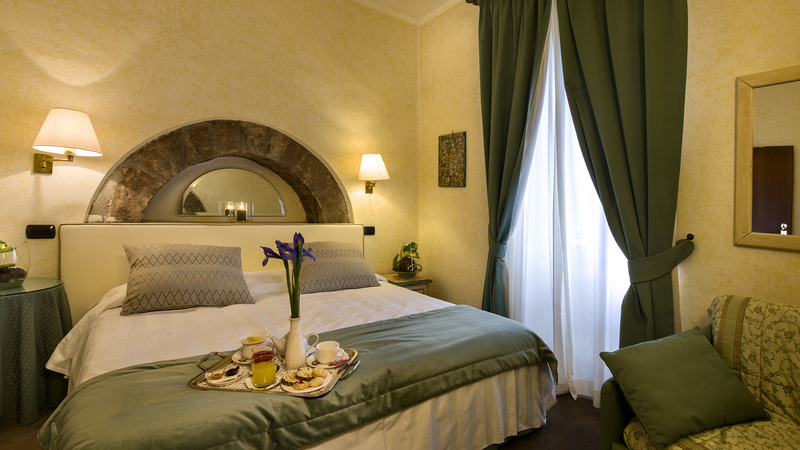 The triple or quadruple rooms have one double bed and one or two twin beds. 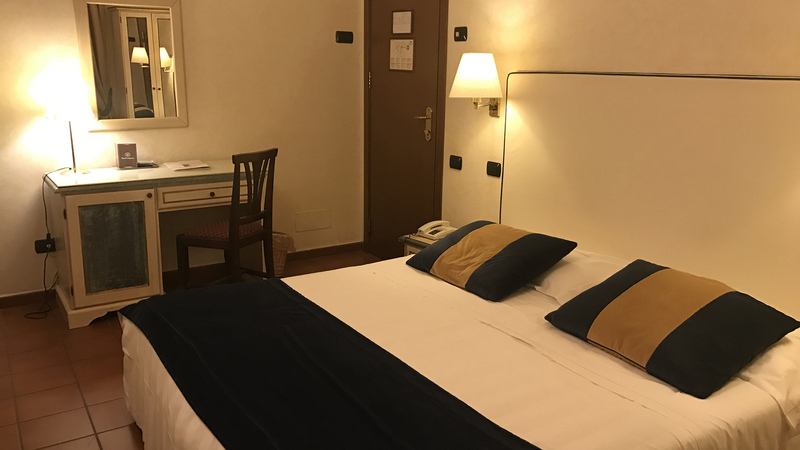 On request you can prepare rooms with all separate beds. 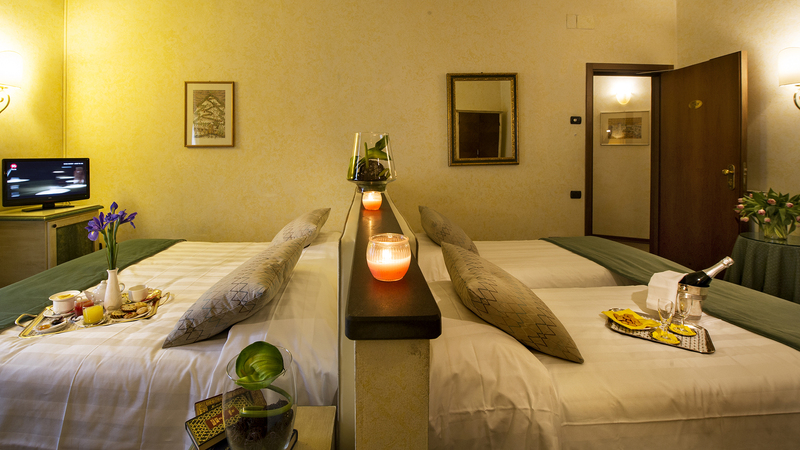 In the single you will find the double bed, but the price will be for one person. These rooms, all different from each other, and disseminated between the various floors of the palace, tell of romantic environments where light is the protagonist. 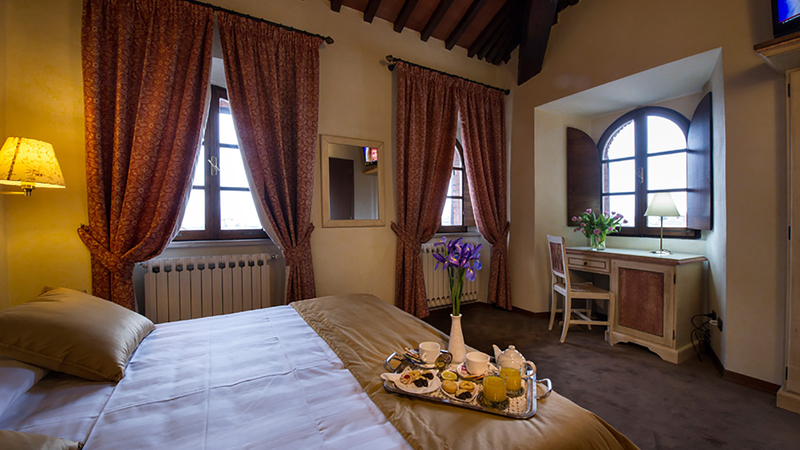 Some have wonderful wood-beamed ceilings and three windows that allow you to admire different glimpses of the wonderful Gubbio; others have stone elements such as the bow that is the backdrop to the bed. The decorating pastel tones characterize these rooms: some dominate the ancient rose, others the green. There are two suites in our hotel. 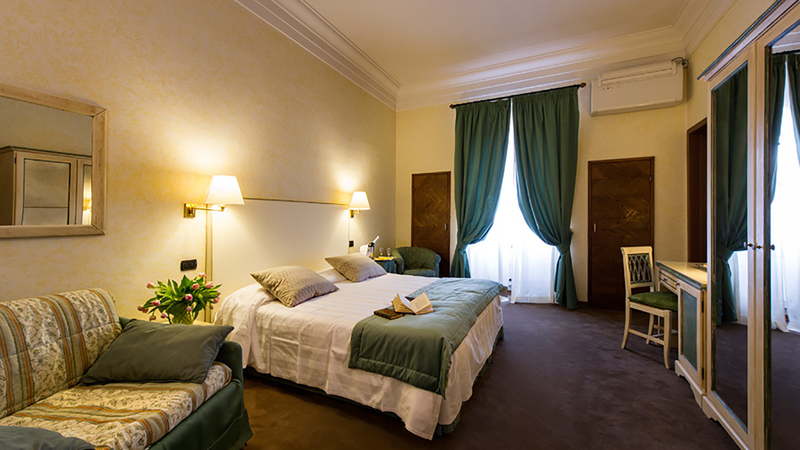 Two rooms located on the second floor of the hotel where light is master. 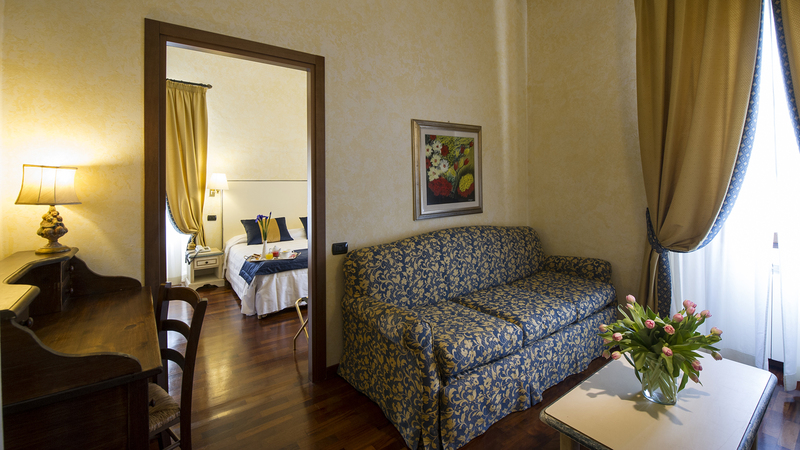 They are equipped with large windows from which you can admire the lodges of the Gubbio Riflemen. 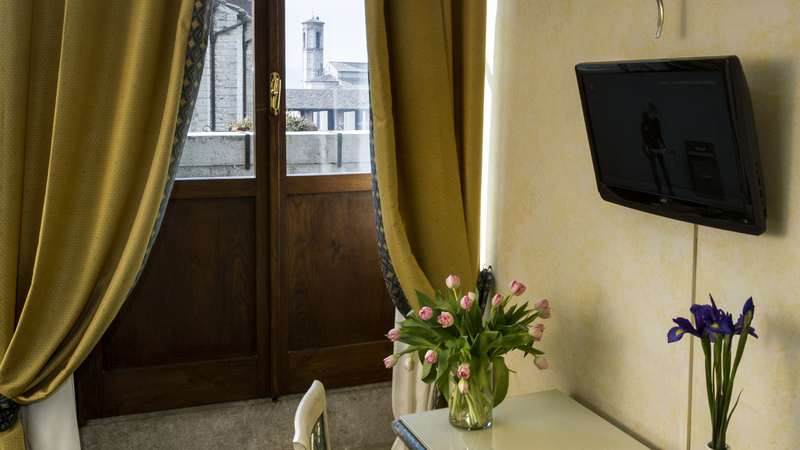 One of the suites has direct access to our internal terrace, an ideal solution for those who want to stay outdoors in the privacy of their room. 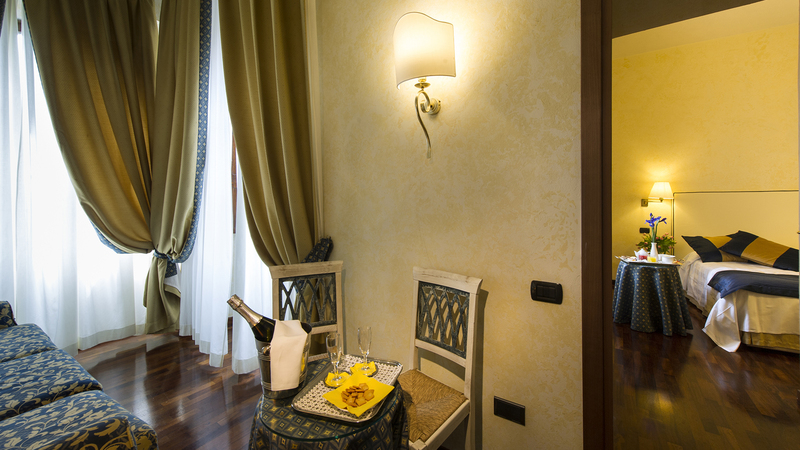 In the beautiful season we can prepare your breakfast on the terrace, a unique time to start the day! 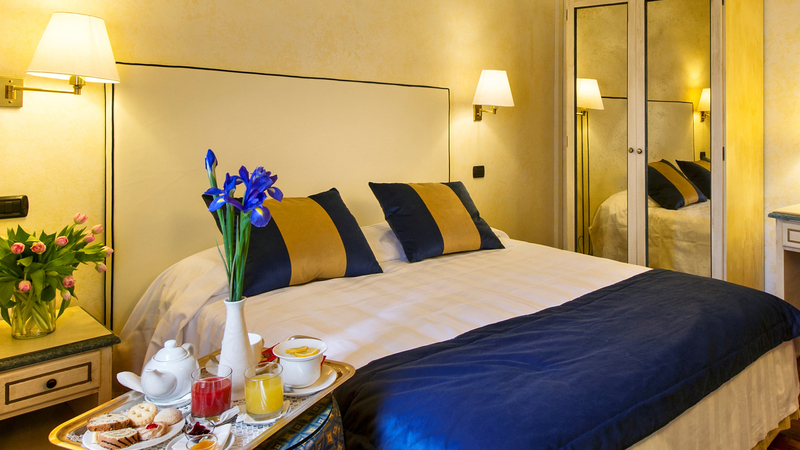 Over the years we have worked to offer a more efficient, warm and customized stay for the customer. Our efforts, to date, have been rewarded. Our philosophy, however, requires us not to stop and continue to be at the highest level for you.